Tasmanian lamb with seasonal greens, cumin spiced roasted pumpkin sauce and roasted chat potatoes. 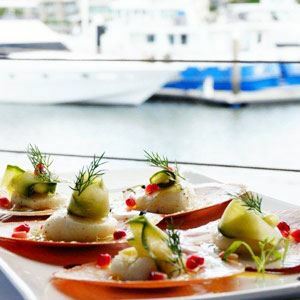 Soak up waterfront views in style at Chances on The Wharf in Mooloolaba. 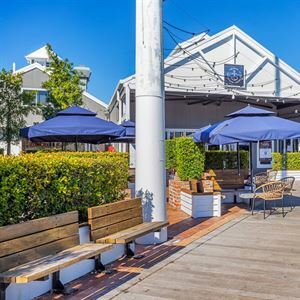 Take a seat on the verandah at this coastally cool restaurant and sip a cold beer as gentle breezes waft in from the ocean, or dine indoors in chic comfort at pale wood tables and white chairs, where large windows let in natural light and marina views. Kick start the day with a breakfast pizza for two - eggs, bacon, avocado, rosemary baked mushrooms, tomato and cheese; or zucchini and corn fritters, rocket, tomato, avocado and relish. 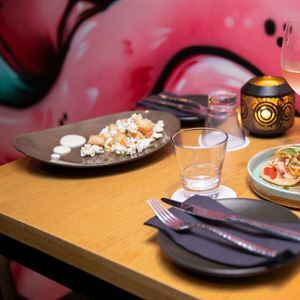 Later diners can choose from share plates of BBQ lamb riblets with a mixed green salad, or delve into mains like grilled Moreton Bay bugs, smothered in Chances’ special herbed butter, served with salad and chips. For a sweet finish, try deep fried Oreos, ice cream and butterscotch sauce. Really really really AMAZING! great food love it keep going with your amazing food. Yeah! When I got in for the first time I already thought it was Amazing. Great food really nice staff great atmosphere ???????????????????? Best pizzas I have ever tasted smoked salmon was divine.My son has had many bugers in his time and actually commented his chicken burger was the best he has ever tasted We went for fathers day lunch.werent impressed we had to wait for 20mins before ordering as they were snowed under.But all was good as we had a couple of new beers we have never tasted before beautiful and cold But when the food finally arrived it was well worth the wait.We were a table of 7 and everyone of us commented on how nice our meals were.Just a couple of teething problems as havent been open long .We will be back.Also music was great.